This Situation Update describes events occurring in Kyaukkyi, Mone and Shwegyin Townships, Nyaunglebin District from October to November 2014, including land confiscation and the consequences of land confiscation. In this region during the conflict period, many villagers were forced to flee and relocate, and consequentially lost the lands they owned, never receiving compensation or the opportunity to regain ownership of the lands. 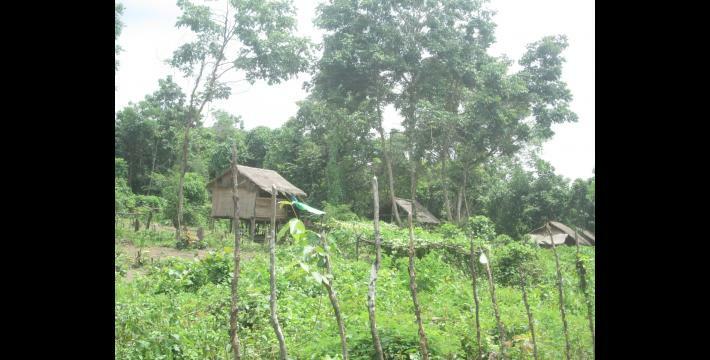 Even today, the majority of villagers in Kyaukkyi, Mone and Shwegyin townships lack awareness of their land rights and are not consulted prior to land confiscations and acquisitions by wealthy individuals. When villagers try to seize back their land they are threatened by the Tatmadaw. 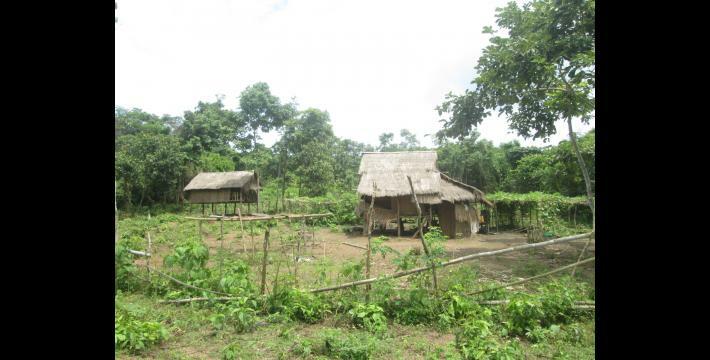 However, in 2014, village leaders collaborated with the local Karen National Union [KNU] to give villagers in K’Moe Aaing, Pat T’Lah, Weh Lah Daw, P’Deh, Baw K’Htan and Mah Pee village tracts in Kyaukkyi Township five acres of land each, from lands that were previously sold off by the Burma/Myanmar government to wealthy individuals. The following Situation Update was received by KHRG in November 2014. It was written by a community member in Nyaunglebin District who has been trained by KHRG to monitor local human rights conditions. It is presented below translated exactly as originally written, save for minor edits for clarity and security. This report was received along with other information from Nyaunglebin District, including two interviews, 368 photographs and 16 video clips. Land confiscation still exists after the ceasefire. There is no [outright] confiscation of farmland, just confiscation via applications of the thirty years of land use Form 105. Even [though] the Myanmar government formed multiple land management levels, they are just on paper and no action [has been] taken. The government does not [use] the form according to the law; it is not according to the process, law or criteria [laid out in the law] that is supposed to be followed. 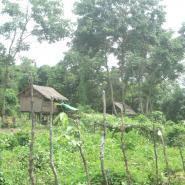 Despite the Burmese government establishing many levels of land management, even at the village tract level they still do not help villagers. They [land management officials] did not raise awareness or give an explanation [about land confiscation]; many villagers were not aware of how they can own their property [secure their land rights]. During the armed conflict in our area, villagers had to flee to several places and had to leave so many lands and villages. The villagers had a lot of land and property, but lands inherited from their parents were marked as uncultivated land by the government and sold to the rich people. Therefore, it has become difficult for the farmers and indigenous villagers. In Ler Doh [Kyaukkyi] Township, U Htar Nar Hsway Win (member of Kyaukkyi Township Parliament) applied for permission to be able to set up a 200 acre rubber plantation and his application was accepted in 2014. U Tin Htun (Shwegyin Township parliament) [also applied for] 200 acres from Shwegyin to Kyaukkyi beside the vehicle road. This place belongs to the Sah Leh villagers, Leh Lah Koe villagers, and Neh Yu villagers. The villagers use this land for their livelihood. The KNU [Karen National Union] did not give permission to [U Tin Htun] to use the land so he cannot do anything yet. Parliamentarian U Shwe Mann’s brother, U Aung Myint, applied for 200 acres to establish a stone mining [project to produce materials] for road construction at the location of villagers’ betel nut fields, which is called Lay Gaw Nah area and is nearby Kywel Chan village. The Burmese government gave the permission [to U Aung Myint to mine] and the KNU charged tax [on the project]. This [land] belongs to indigenous people and [on it is a] source of water for villagers. Because of the scarcity of water at Aung Soe Moe village, Kywel Chan village and Tha Pyay Kone village, [villagers] come and carry the water from the Lay Gaw Nah area. Villagers wonder if long term stone mining will create difficulties for them and cause water shortages. When rich people apply for a land title from the government there is no notice distributed to the [affected] villagers in order to inform them and [allow them] to submit an objection letter. Therefore villagers do not understand the issues and even though their lands were confiscated they are afraid and do not go against the perpetrators to get it back. 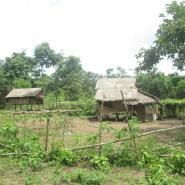 (a) In 1999, the Burmese government forcefully relocated many villages to the Noh Koo pasture area and established a village named Yan Myo Aung. Many villages were integrated and they [Union Solidarity and Development Party (USDP)] asked the villagers to plough the field for them [USDP] in the pasture land. Even though Noh Koo villagers requested to get back their land, there was no action [taken by the perpetrators]. The villagers reported it to parliament and the responsible persons [all relevant authorities]; still, villagers did not get any response. Meanwhile, villagers requested to use the pasture land that they had [been forced] to plough as USDP farm land [for their own sustenance]. No land was handed back to the villagers. (b) In 1995, [Tatmadaw] LIB [Light Infantry Battalion] #351 and IB [Infantry Battalion] #60 confiscated over 1,000 acres of villager land which is field and farm [land], and villagers have reported to parliament that they did not get it back and it is still controlled by the military. Villagers who plough the field were charged [a fee] by the military. If they do not pay money the military goes and gives them trouble. When the villagers tries to get back their field in practice, the military groups threaten them in many ways. Villagers always have to live fearfully under the control of [Burma/Myanmar] military government power. (c) In order to solve the land confiscation issue and [related] land conflict and improve both the rich people’s and local residents’ living conditions, in 2014 the KNU and village leaders cooperated together and measured out five acre [sections] of land and allocated them to each household in some areas in Ler Doh [Kyaukkyi] Township. The village tracts that got the land portions are K’moe Aaing village tract, Pat T’Lah village tract, Weh Lah Daw village tract, P’Deh village tract, Baw K’Htan village tract and Mah Pee village tract. The purpose of this arrangement was to increase the equality of living standards and wellbeing of villagers in the future, [as well as] to allow the villagers to control what they own [their property]. The apportionment of five acres of land was [from] the lands that the rich people bought from the Burmese government [which the KNU and village leaders reclaimed for the villagers]. There is no other way to take action and protect their [villager] land that had been confiscated and villagers have to live as [they did] previously and always have to worry and be frightened. The [Burma/Myanmar] government uses its power and does as it wants, so this is the reason why the land confiscation issue has arisen. There is no regional assessment before grabbing villagers’ land and no consultation with the villagers, either. The conflict and problems that are being caused in the region are because the responsible government persons do not give the indigenous people the opportunity to express their feelings and [the indigenous people] have to work under fear. Form (105) is a legal document for ownership of land in Burma/Myanmar. The Union Solidarity and Development Party (Pyi Khaing Pyo in Burmese, Pa Ka Hpa in Karen) is the successor of the Union Solidarity and Development Association. It was officially registered as a political party on June 2nd 2010 and is headed by Burmese President Thein Sein.